Brushing at least twice a day, flossing daily and having your mouth professional cleaned and examined twice a year are all essential components of preventative care. Following these guidelines can greatly reduce your risk of being faced with oral health issues. However, despite your best efforts, sometimes accidents happen and a dental emergency arises. When this happens, it is easy to panic. 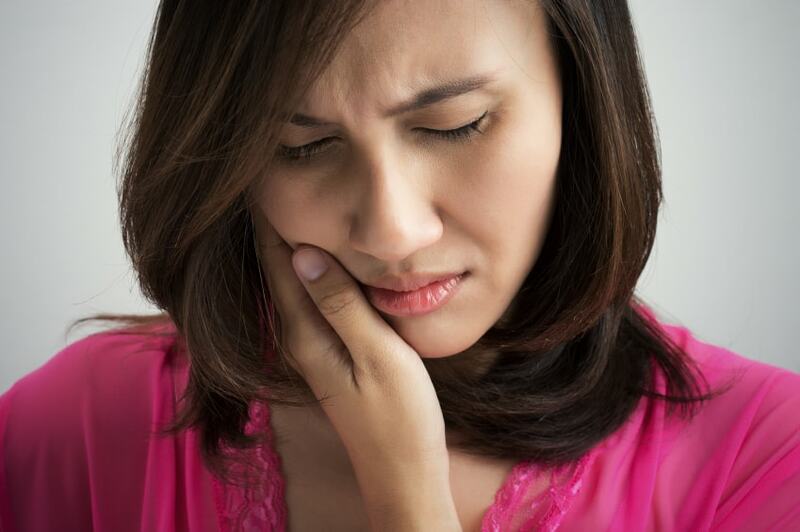 There are several different types of dental emergencies, and they all vary in severity. How serious your injury is will determine the course of action required. While minor injuries can be treated at home, the most severe injuries may require emergency room care. At Coulter Family Dentistry, we can provide treatment for a wide variety of dental emergencies. • Bitten lip, tongue or cheek. Biting your lip, tongue or cheek is a common dental injury. It can usually be managed by placing gauze over the injury and holding it in place with gentle pressure. In the event of pain and swelling, both over the counter pain relievers and ice packs can be used. These types of injuries usually heal on their own in just a matter of days. If bleeding persists for more than 15 minutes, seek emergency care right away. • Toothache. While toothaches can be indicative of an infection, this is not always the case. Some toothaches can be caused simply because there is food lodged between the teeth. If you are experiencing tooth pain, carefully and thoroughly brush and floss your teeth, and rinse with salt water. If nothing is removed, or you notice symptoms of an infection, call our office for an appointment. • Damaged teeth. Broken teeth, whether they are chipped or cracked, are compromised. Not only can the damage worsen, but bacteria can also get inside the tooth and cause a serious infection. When you arrive at our office, we will be able to assess the damage and recommend the most effective treatment. This may mean a dental crown, a root canal, or even an extraction and tooth replacement. • Teeth that have been partially dislodged. If your tooth has either been partially removed from the socket or partially shoved deeper into it, we can reset the tooth and secure it with a split. This will allow the periodontal ligaments and jawbone to heal around the tooth, restoring it back to normal. Do not attempt to reset a tooth by yourself. • Teeth that have been completely knocked out of their sockets. If you have lost a tooth as a result of an injury, know that it is possible to replant it. Find the tooth and rinse it with cool water if it is dirty. Do not touch the root, as this can damage the tooth. Store it in a glass of milk or salt water until your appointment. In many cases, we can replant the tooth. If we cannot, we will then discuss options for replacement. • You are bleeding excessively, or you have been bleeding for more than 15 minutes, and it still will not stop. • You suspect that your jaw has been broken. Dental emergencies can cause significant panic, but they are treatable. If you have any questions or concerns, do not hesitate to call Coulter Family Dentistry today at (509) 209-8747.